Launched in 2013, the A3 Sedan is the latest iteration of the compact hatchback that Audi introduced way back in 1996. 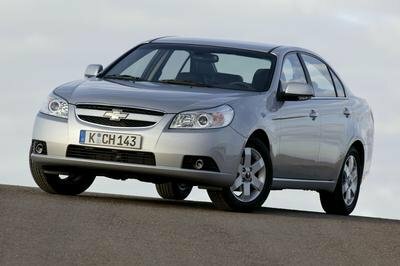 Essentially identical to the five-door save for the extra bodywork at the rear, the sedan features the same interior and drivetrains. The four-door gained a performance-oriented S3 version in 2015, while the range-topping, RS3 was unveiled at the 2016 Paris Motor Show. While the RS3 Sedan was rumored for quite a few years and was somewhat expected to debut in 2016, its official launch brought a huge surprise from Audi, in the form of the RS3 LMS. Named after the race-spec, already iconic R8 LMS, the RS3 LMS is the first factory-built race car based on the A3 sedan and was developed specifically for the TCR series. If you’re not familiar with the competition, it’s a new touring car championship that debuted in 2015. Promoted as a cost-effective spin-off of the World Touring Car Championship (WTCC), the TCR series is sanctioned by the FIA and based on a three-pillar concept that includes national and continental championships, along with the global TCR International Series. All three tiers function under the same technical regulations. 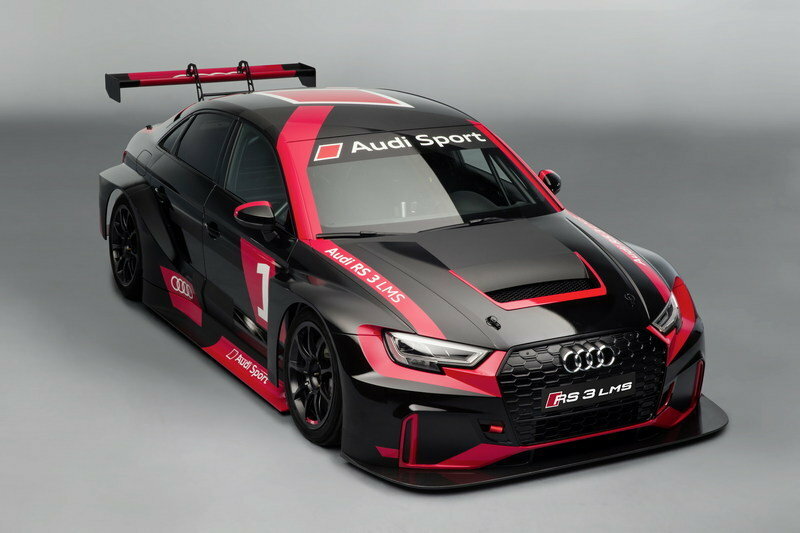 The Audi RS3 LMS will compete in the top-tier TCR International Series, which has been disputed by several brands in 2016, including Alfa Romeo, Ford, Honda, Opel, Peugeot, Seat, Subaru, and Volkswagen. The beefed-up sedan will debut in the 2017 season as a customer race car backed by Audi Sport, the company’s motorsport division. "With the Audi R8 LMS, Audi Sport customer racing, in a very short time, managed to build a successful customer sport program alongside the factory commitments in the WEC and the DTM. The Audi R8 LMS has since become the market leader in its segment. 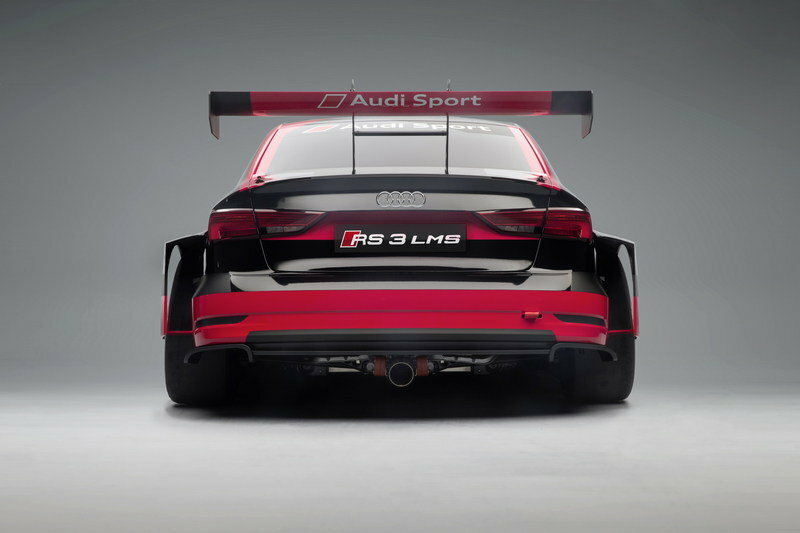 We have the same plans for the Audi RS 3 LMS, which offers customers an attractive opportunity to get started in fascinating Audi racing," said Stephan Winkelmann, managing director at Audi Sport. 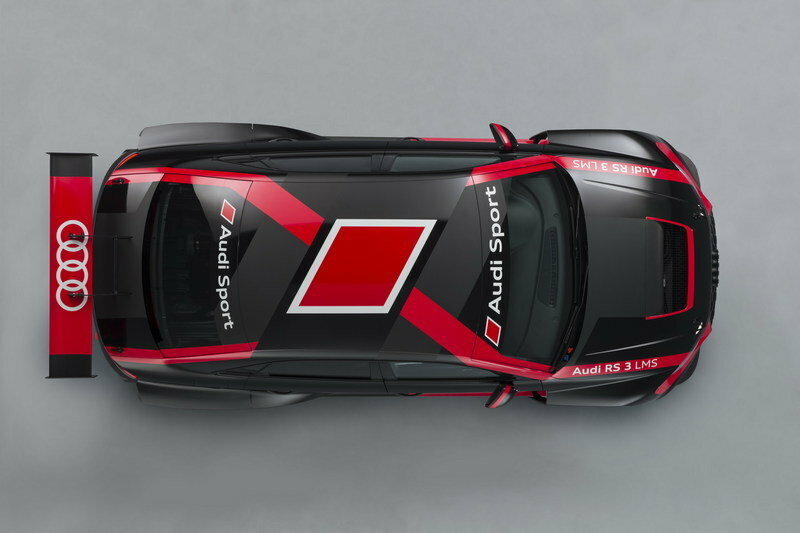 Continue reading to learn more about the Audi RS 3 LMS. 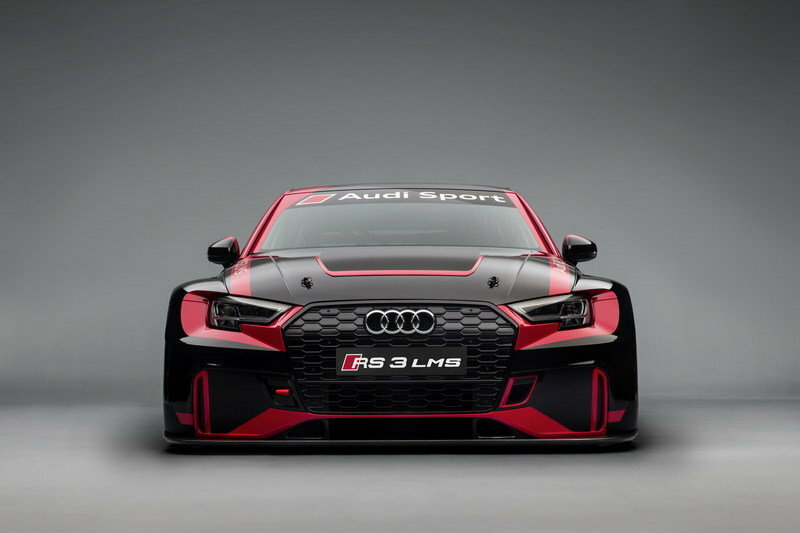 Essentially a standard RS3 Sedan on steroids, the LMS follows in the footsteps of the R8 LMS, which marries the road-going model’s design with an aggressive aerodynamic kit and a colorful racing livery. The RS3 LMS is arguably the most aggressive compact car Audi has built to date. Elements retained from the road-going RS3 Sedan are limited to the headlamps, "Singleframe" grille, and the four-ringed badge up front. Both the engine hood and the bumper are brand new and designed for improved cooling and aerodynamics. The former features a big vent in the middle and quick-release pins, while the latter has beefed-up side panels (which match the wider fenders) and a massive splitter underneath. Much like any modern race car, the profile is highlighted by bloated fenders and wheel arches, beefier side skirts, and race-spec, lightweight rims shod in motorsport-specific tires. The side mirrors have also been revised for improved aerodynamics. The rear is equally menacing with the aero updates, and include a massive wing that’s nearly as high as the roof, the revised bumper, the new diffuser, and the single center-mounted exhaust pipe. 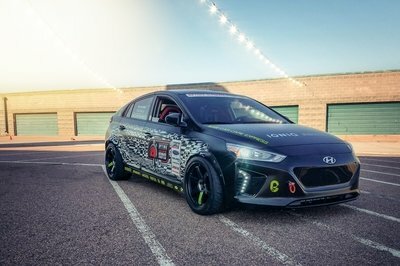 The sedan is also wrapped in a black and white livery, a couple of traditional Audi colors, but each car will get a wrap of its own once it hits the race track. All told, the RS3 LMS is arguably the most aggressive compact car Audi has built to date and the most menacing vehicle the TCR series will adopt starting 2017. The interior of the LMS is based on that of the standard road car, but outside the dashboard, the door panels, and the gear shifter, everything else has been modified for racing. 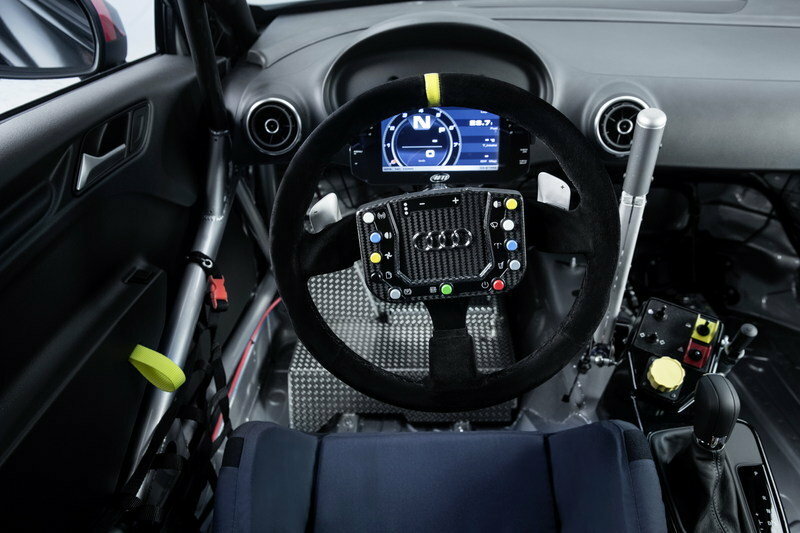 As per TCR specifications, the interior of the LMS is based on that of the standard road car, but outside the dashboard, the door panels, and the gear shifter, everything else has been modified for racing. The standard steering wheel has been replaced by a multi-function unit wrapped in Alcantara for better grip, while the standard instrument cluster was removed altogether in favor of a tablet-like display mounted closer to the steering wheel. There’s also a bolstered driver’s seat with carbon-fiber shell, a stripped-out floor with an aluminum deck for the sports pedals, cloth door handles, and additional switches where the center console usually is on the road car. Naturally, the LMS’ cabin also comes with the full suite of safety features required by the TCR series. The extensive safety package includes an FIA-spec safety fuel tank, a racing safety cell, the PS3 safety seat, FIA safety nets on both sides of the seat, and a rescue hatch in the roof like the one used in the Audi R8 LMS. 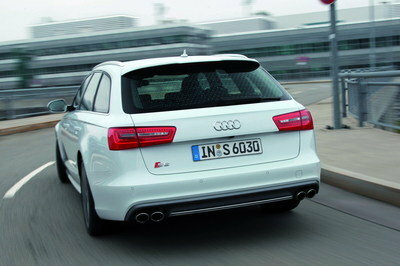 The RS3 LMS gets its juice form a turbocharged, 2.0-liter four-cylinder engine that packs 330 horsepower. Getting from 0 to 62 mph takes 4.5 seconds, while top speed is rated at 150 mph. Interestingly enough, that’s 0.4 seconds and 4 mph slower than the road car, which benefits from an extra 70 horsepower, but lacks the aerodynamic upgrades. Still, the LMS is arguably quicker around a race track, which is more important than off-the-line sprints. 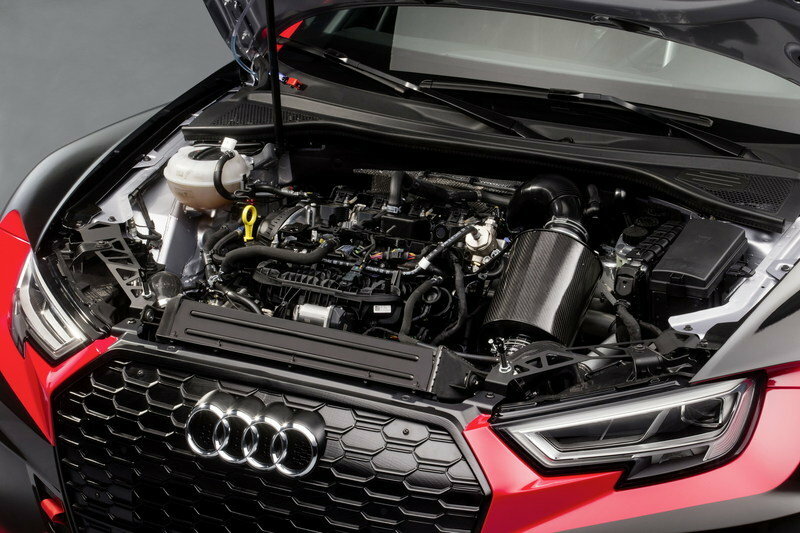 Audi didn’t share additional details about the drivetrain, but that’s not surprising given that automakers don’t talk much about their race-spec engines. 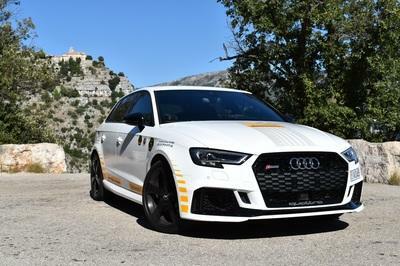 The Audi RS3 LMS costs €129,000 (about $144,560 as of October 2016) in TCR specifications with the sequential six-speed transmission, but the German brand also offers a club sport version for €99,000 (around $110,940). Prices don’t include VAT, which can add more than 20 percent depending on country. Deliveries will commence in December 2016, just in time for the 2017 TCR racing series. The TCR series is currently contested by eight nameplates, including the Alfa Romeo Giulietta, Ford Focus, Honda Civic, Opel Astra, Peugeot 308, Seat Leon, Subaru WRX STi, and Volkswagen Golf GTi. The latter was developed for the 2016 season and it’s quite a popular model among TCR racers. Also powered by a 2.0-liter four-pot rated at 330 turbocharged horses and 302 pound-feet of torque, the Golf GTR uses a six-speed DSG with paddle shifters and an electronic differential. Its exterior is also enhanced by an aggressive body kit, but the German hatch is far from being as menacing as the Audi RS3 LMS. 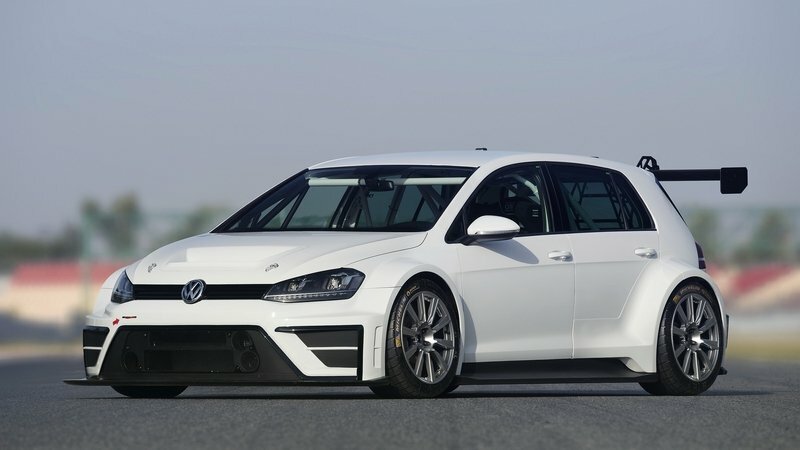 Find out more about the Volkswagen Golf TCR here. Having joined the series in 2016, the Opel Astra is also a new entry for the international touring car championship. Based on the latest-generation Astra hatchback, the TCR version comes with a vented engine hood, aggressive bumpers, widened fenders and side skirts, and a big rear wing atop the tailgate. Naturally, the Astra TCR also gets its juice from a turbocharged, 2.0-liter four-cylinder engine that cranks out 325 horsepower and 310 pound-feet of twist. Power travels to the front wheels through a Drexler six-speed sequential gearbox and mechanical limited-slip differential. 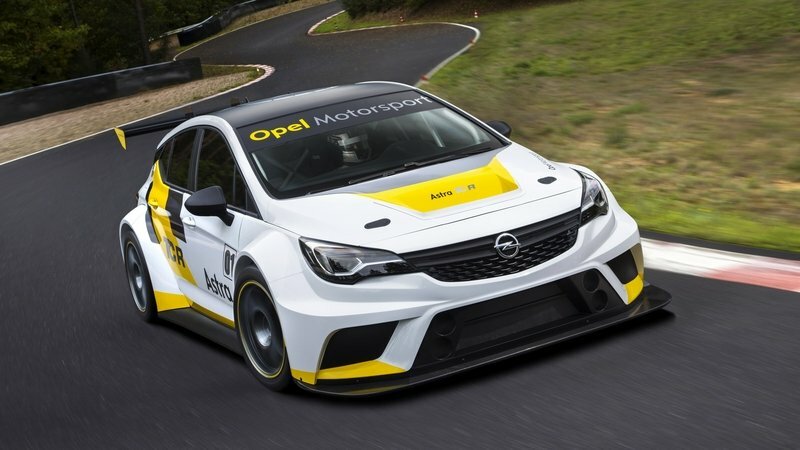 Learn more about the Opel Astra TCR here. Although the TCR series is still new and doesn’t get the attention it deserves, it’s great to see that Audi is developing race cars based on its newer vehicles. Not only is the A3 Sedan only a couple of years old, but the performance-oriented RS3 version was unveiled alongside the LMS at the 2016 Paris Motor Show. 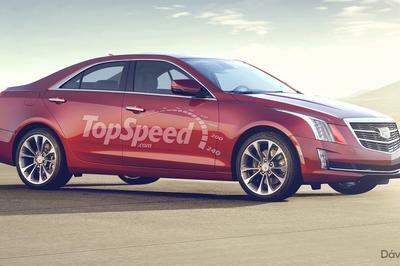 Most likely these cars were developed together, which says a few things about the performance of the road-going model. Getting back to the LMS, it’s definitely the most aggressive looking TCR car for 2017 and it should make the series a lot more interesting. 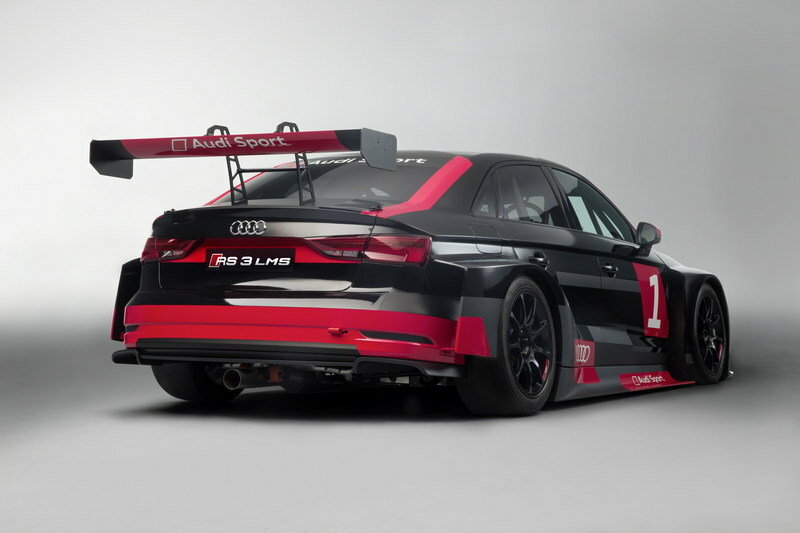 I’m not a big fan of TCR, but I might just watch a few races to see the RS3 LMS in action. 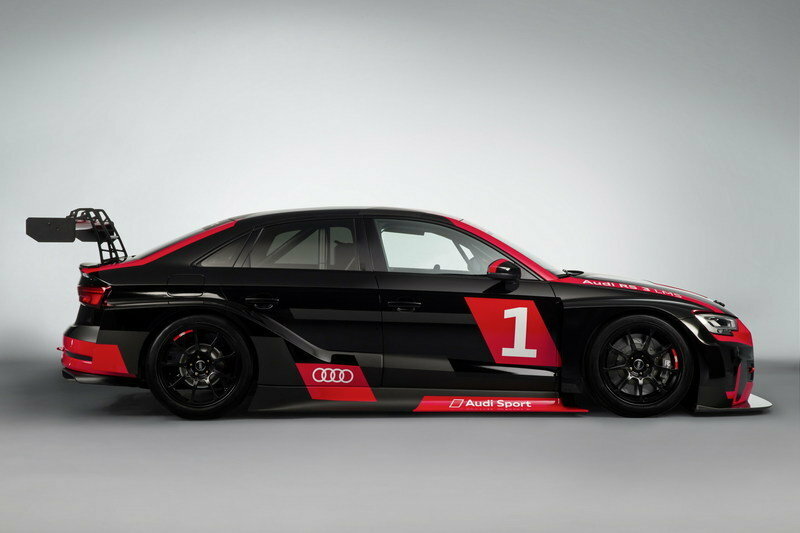 The Audi RS 3 LMS accelerates from 0 to 100 km/h in about 4.5 seconds and achieves a top speed of about 240 km/h. In TCR trim, the proven four-cylinder two-liter TFSI engine delivers 243 kW (330 hp).